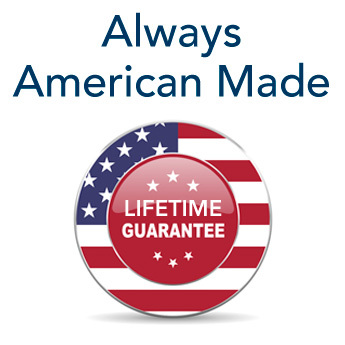 that are Made in America and Guaranteed for Life. 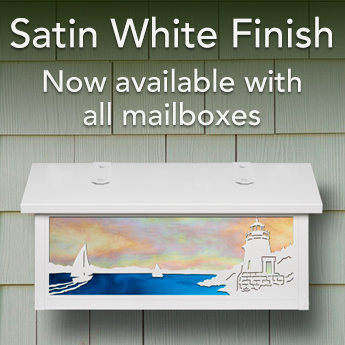 Here at America's Finest Lighting & Mailboxes, we offer many designs and options for our wall mount mailboxes and we are sure you will find one that works for you. Made in solid brass with three size options. Vertical, Horizontal and Large. Each size offers decorative and unique designs that you personalize by choosing the finish and glass color to complement your home. All mailboxes have coordinating lighting listed at the bottom of each product page. America's Finest Lighting offers the highest quality outdoor lights. With multiple lantern styles to choose from and hundreds of possible design combinations we are sure you will find the perfect lantern. All fixtures are built in solid brass, are UL rated and come with our Lifetime Guarantee. Add one of these unique illuminated address plaques to your home. Coordinate the finish and glass with your new America's Finest Lighting fixtures and mailbox or to your existing lighting. Choose either 120 Volts or 12 Volts that you will hard wire to power the built in LEDs. All lighted house numbers come with our Lifetime Guarantee. Shop by Animals, Birds, Trees or Overlay theme. Sign up for our Email Signup in the the top right corner of the screen to be notified as soon as this section is available.